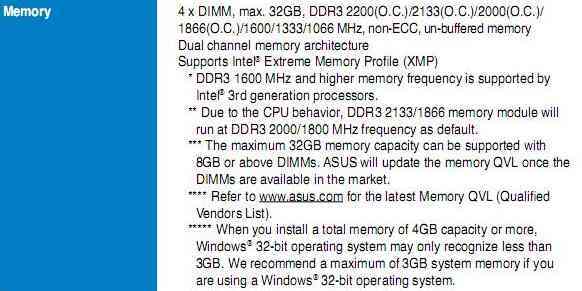 Missing memory - 16GB RAM memory only 8GB available - PC Buyer Beware! My desktop PC is missing memory. It has an Asus P8b75-V motherboard and 4 RAM memory modules of 4GB each, totalling 16GB, all of the same type. Until recently, all of the memory was working well, but then all of a sudden only 8GB of the 16GB was showing in the UEFI BIOS and Windows 10 and being used. 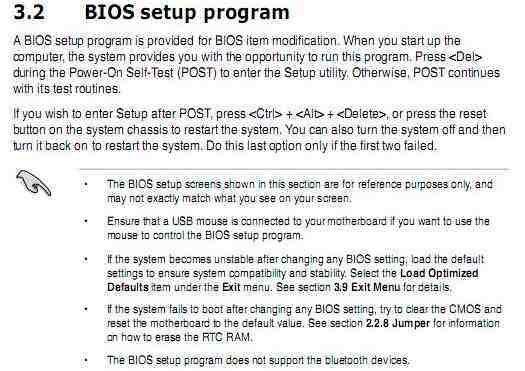 The AMI UEFI BIOS is the latest update available. All four modules and all of the four DIMM memory slots on the motherboard are definitely fully functional. I tested them individually. But, strangely, no matter how I install them, I can’t get more than 8GB to work. This is an unusual missing memory problem. To solve it, you need to read the information on the memory in the user manual of your PC’s motherboard. Note that just because each module or DIMM slot works on its own doesn’t always mean that they will all work together. However, if you got a module to work in each of the slots that does mean that all of the slots are functional. It is possible that memory that was not fully compatible with the motherboard could function for a while and then not function all of a sudden. Especially if you changed the memory settings in the UEFI BIOS. 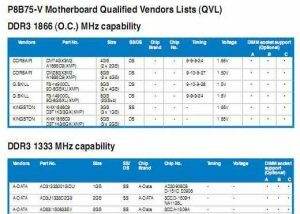 The user manual for your motherboard provides a Quality Vendors List (QVL) that lists the memory manufacturers tested to be compatible with the motherboard at each DDR3 module speed (frequency). 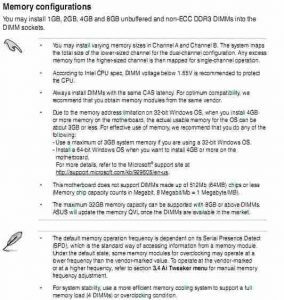 A short extract from the list for your motherboard is shown below showing the information for DDR3 1866 MHz and DDR3 1333 MHz capability. 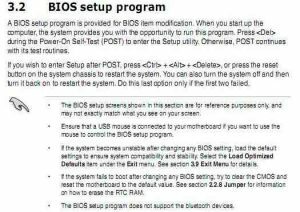 Use the download link below to obtain a copy of the motherboard’s user manual in the PDF format. 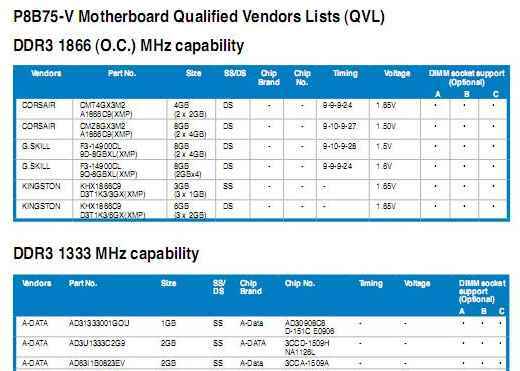 According its user manual, the motherboard supports Intel LGA 1155 second and third generation Core i7, i5, i3 and Celeron processors (CPUs). 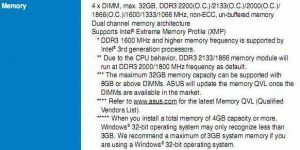 But, as you can see from the Memory extract from the manual, shown below, it says that “Due to CPU behaviour, DDR3 2133/1866 memory module will run at DDR3 2000/1800 MHz frequency as default.” The motherboard supports dual channel DDR3 2200/2133/2000/1866/1600/1333/1066. Your motherboard supports two dual-channel memory configurations. Dual-channel support means that two identical modules can be run together as if they are one module in both sets of DIMM memory slots, labelled A1/A2 and B1/B2. 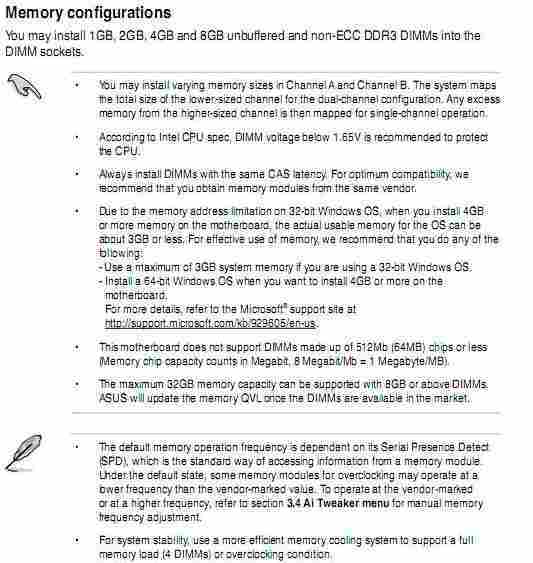 Your motherboard’s user manual provides information on the different ways in which to populate the DIMM memory slots with DDR3 memory. High-capacity memory is double-sided, but lower-capacity single-sided DDR3 memory is available but can be installed in any one slot, not more than one. The manual suggests using the A2 slot. If you have, say, a kit containing two 4GB modules, in order to have them working as a single module in, you can install them in either the blue or black slots, but for the best compatibility install them in the slots marked A2 and B2. If you have a kit containing four identical DIMM modules, you can install them in all of the slots. According to the motherboard manual, you can install a maximum of 32GB made up of four 8GB modules. High-capacity modules generate quite a bit of heat. Therefore, with that much memory, it is a advisable to fit heatspreaders to the modules to keep their temperature as low as possible. The cooling inside the PC’s case should also be adequate in order to prevent a build up of temperature. To make sure that the modules are identical, unless purchased directly from a manufacturer, such as Crucial, RAM is sold in kits in order to make sure that they are compatible. Note that if you use memory of differing speeds (frequencies) and the same CAS Latency, Windows makes all of the memory run at the speed (frequency) of the slowest module. You should not use modules that have different CAS latency. If you do have modules that have a different CAS Latency, the advice in the following forum thread might get you up and running with them. You probably have modules that might have the same specifications of type (DDR,DDR2,DDR3, DDR4) voltage, CAS Latency and speed. However, over time, even RAM memory from the same manufacturer with the same part number can be made up of differing manufacturing components. Some motherboards are sensitive enough to any differences that they don’t work. For that reason, RAM manufacturers do not support memory that is not bought from computer stores in one kit. If you have memory made by different manufacturers, the chances of the modules working together becomes less likely. To solve your problem, if I were you, if you must have 16GB, I would buy four identical 4GB modules from Crucial.com, which guarantees that its memory is compatible with specific makes and models of PC and motherboards or you get your money back. Note that you must be using a 64-bit operating system – in your case 64-bit Windows 10 – in order to be able to use more than around 3.2GB, which is the maximum amount of memory that a 32-bit operating system supports. For most users, 8GB of memory is more than adequate, maybe you should only buy two 4GB modules and install them in the A2 and B2 slots, as advised in the motherboard’s user manual. Use the memory Advisor Tool to look up your Asus P8b75-V motherboard. Since most people only want one or two 4GB modules, you should be able to sell the memory you have on eBay or Amazon. For detailed information on memory on this site, visit its RAM Memory: DDR, DDR2, DDR3, DDR4 section. March 11, 2017 in PC Problems and Solutions, RAM Memory Problems.